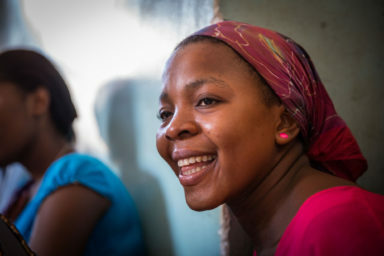 Rehma was 14 years old and preparing for secondary school when she discovered she was pregnant. Her father ran away and Rehma’s mother threw her out of the house. Rehma had nowhere to go and, with a new baby girl to look after, ended up living as a street child. Her future was bleak. Luckily, she found her way to a BRAC Girls Club. BRAC supports young girls like Rehma through Girls Clubs where they are helped in every aspect of their lives; giving them a safe space where they express themselves and socialise whilst learning vital life skills for the future, skills like financial literacy and family planning. Through peer-to-peer learning girls grow in knowledge and confidence becoming more powerful members of their communities. Rehma attended job skills training and with a small loan of £50 from BRAC started a business making Maandazi, an African treat very similar to doughnuts. Rehma’s mother allowed her back home and now her business supports the whole family and provides enough for future savings.